Top Stitch Quilt Shop opened January 1, 2014. The shop has over 800 bolts of fabric and we sell Elna machines, Handi Quilter Long Arm Quilting Machines, and Horn Cabinets. 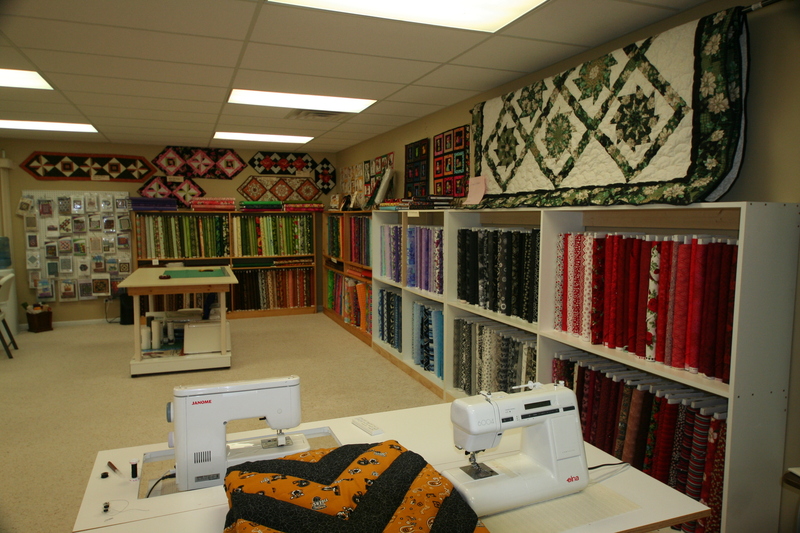 The shop sells a variety of patterns and will quilt your quilts for you. You can even make an appointment to learn how to use the HQ Sweet Sixteen quilting machine, or we can quilt your quilt for you! After 42 years in the interior design business, Donna is now sharing her passion for quilting. She opened the quilt shop after operating a successful drapery shop. Previously, she owned Top Stitch Country in Savannah and Stanberry. Donna’s years of experience in the drapery and decorating business have honed her eye for color. She loves helping people who are new to quilting and advising experienced quilters with expert tips. Stop in today! Check out these photos of our shop!